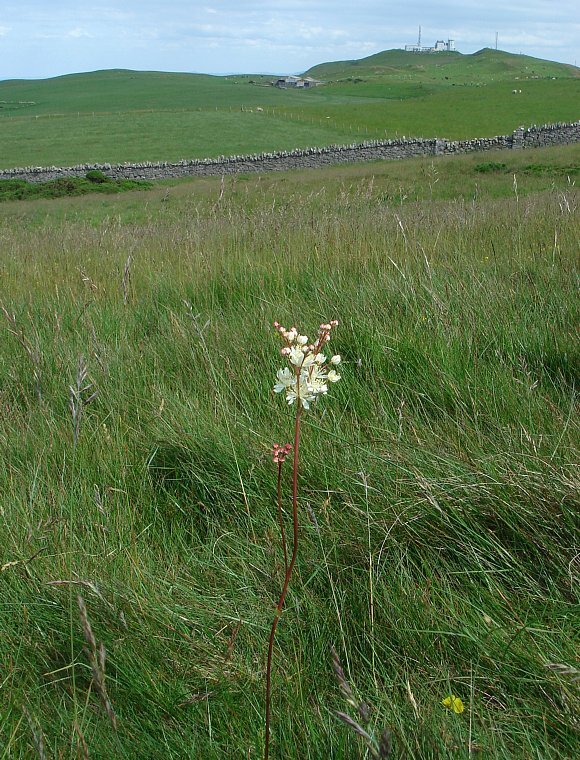 On limestone grassland near the summit. 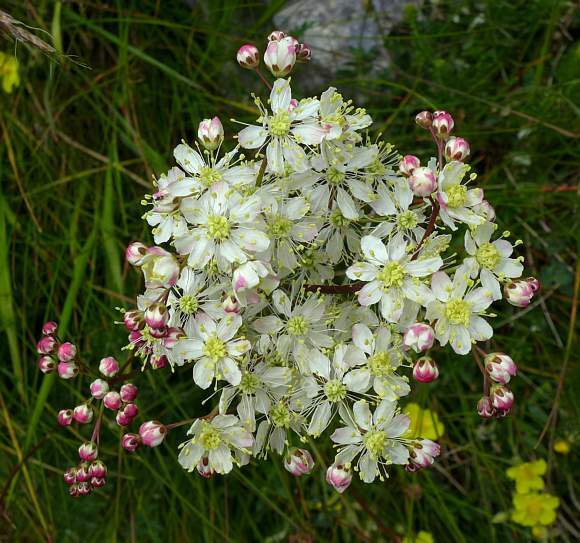 The stem branches near the top with a flurry of flowers. 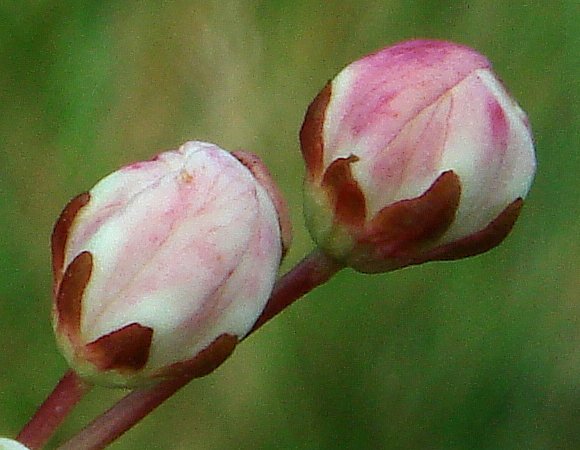 Un-opened flower buds are tinged rosy red with darker red sepals. 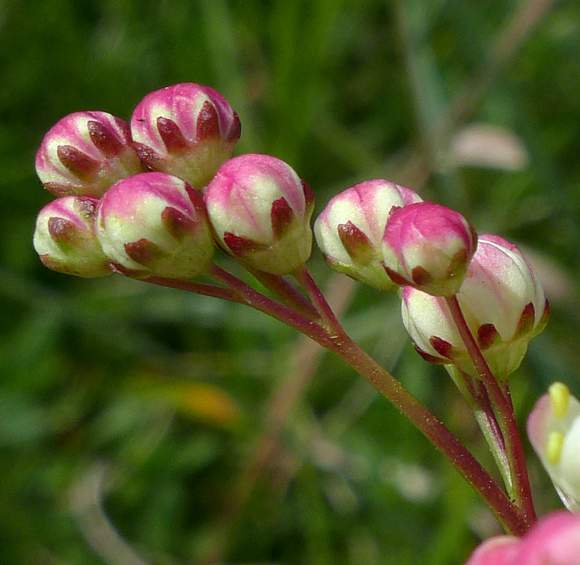 The flower buds keep growing until they are much larger than their sepals (bottom bud). 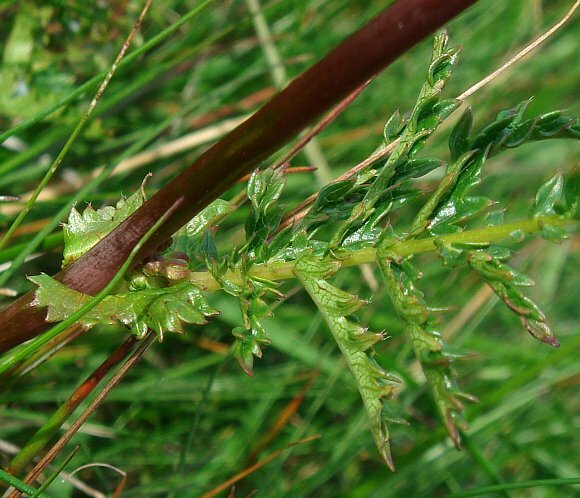 The stems are often brownish. Stamens with anthers folded over in the centre mostly hiding the stigmas. 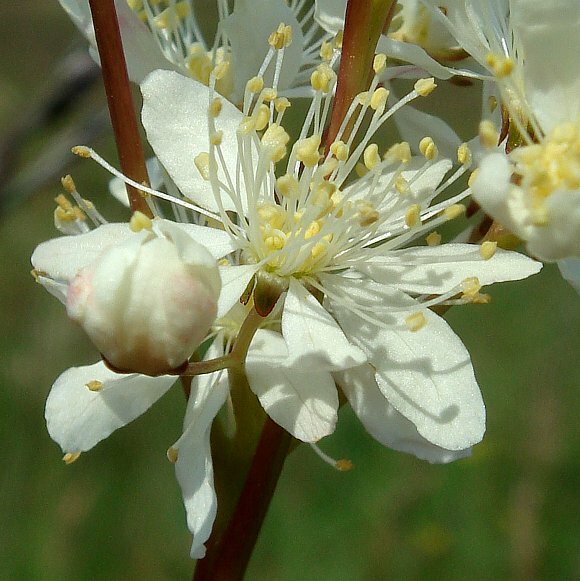 The long stamens then spring out with their numerous lemon-coloured anthers. 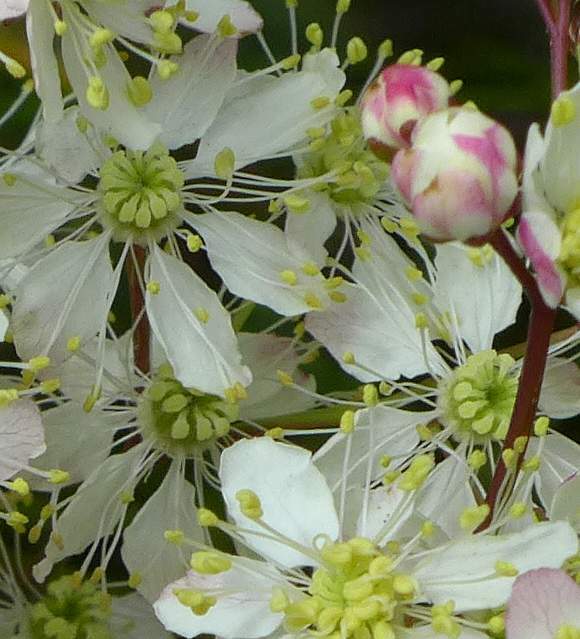 Which reveals the lime-green stigmas in the centre. Lime-green stigmas (approx 12 in number) in centre revealed. The stamen filaments emerge amidst and beneath the stigmas in pairs. 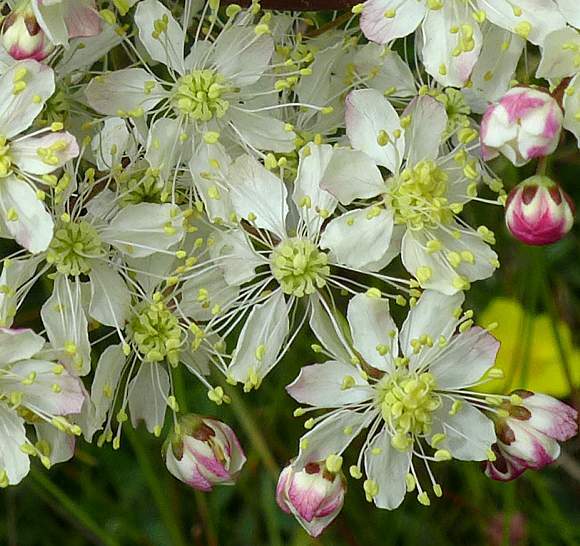 The petals are white and number six. 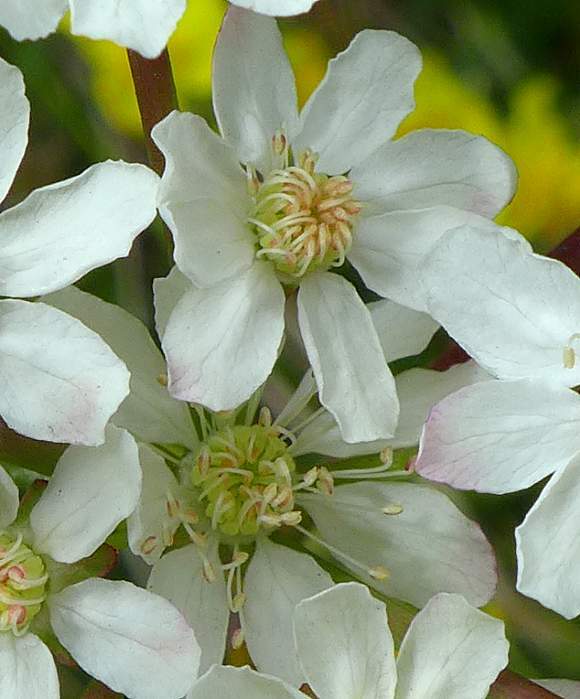 Prominent numerous stamens bearing pale-yellow stamens and pollen. And a neat ring of 10-12 styles near the centre. The petals are spaced out. Stem leaves clasp the stem. 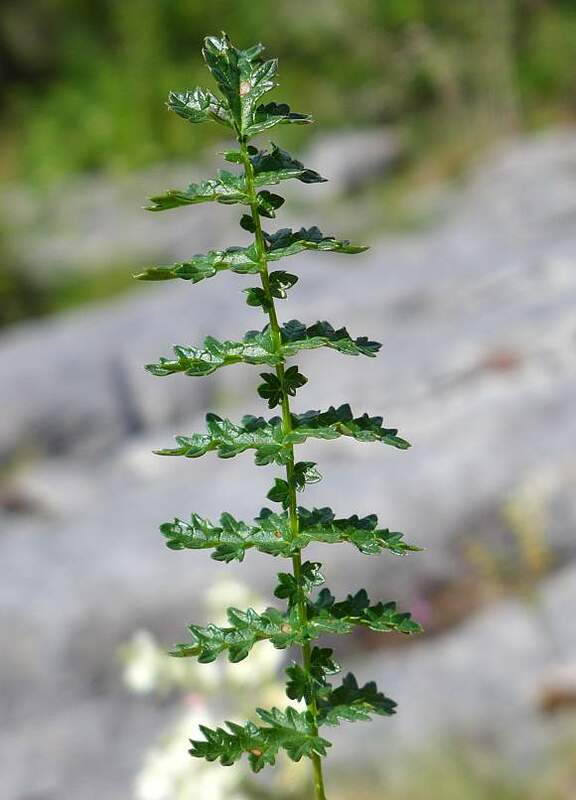 The leaves are shiny, alternate, pinnate, with roughly jagged forwardly-directed teeth. Leaf held aloft. 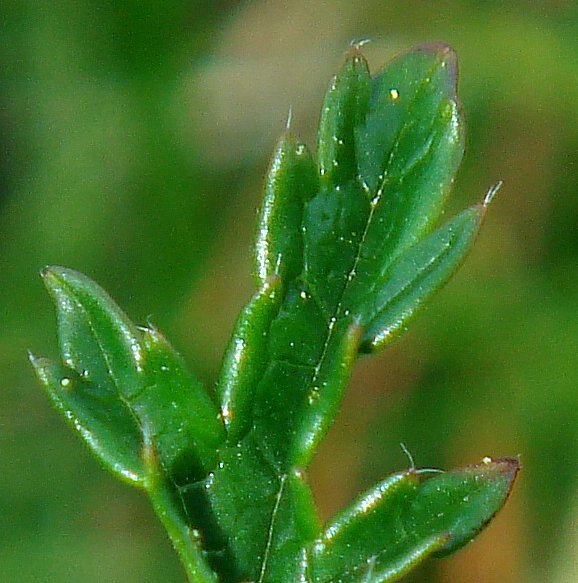 This is one leaf, and consists of two alternate sizes of leaflets, in (nearly) opposite pairs, up the stem (which is a typical arrangement of leaves in the Rosaceae family. All leaflets are stalkless. The smaller ones are very much smaller than the larger ones. Smaller ones are basically 3-lobed. 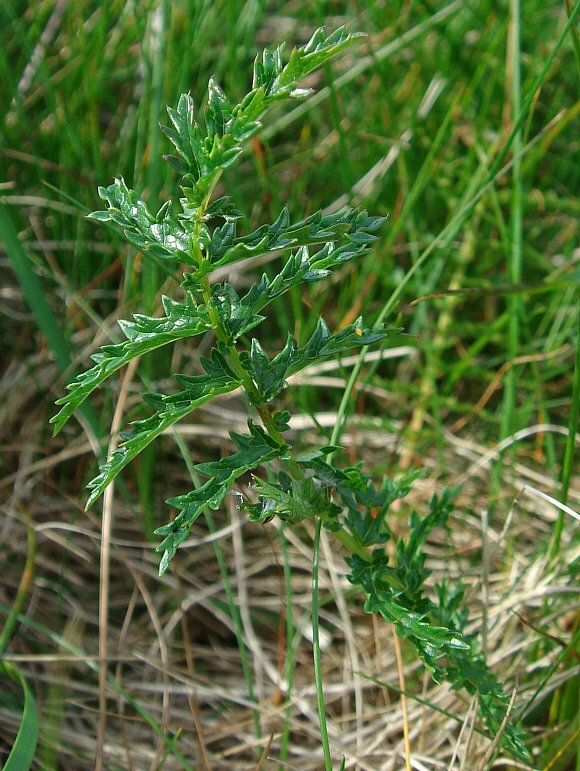 The larger leaflets much longer than broad and hug half-way around the stem, which here is angular. Tips of leaves sprout a short whisker or two. The fruits are long (3-4mm), hairy, with 10-12 grouped together in a circle with white stigmas still attached at the tip. 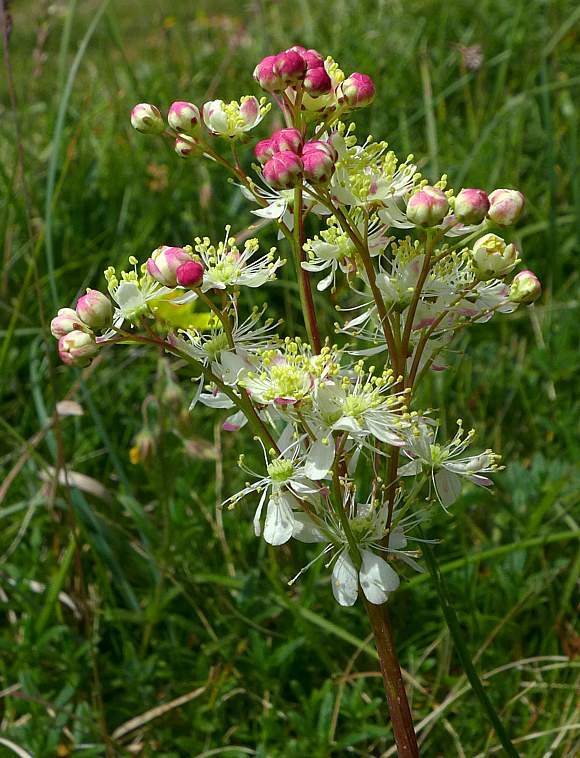 Related to : Meadowsweet (it is in the same Genus). 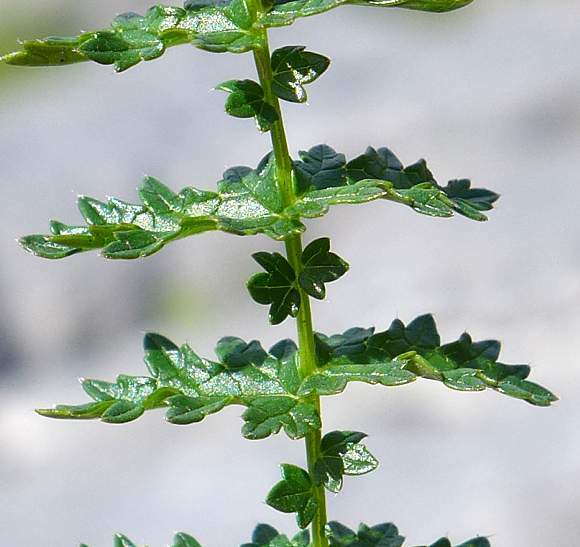 Not to be confused with: Dripwort [a liverwort]. 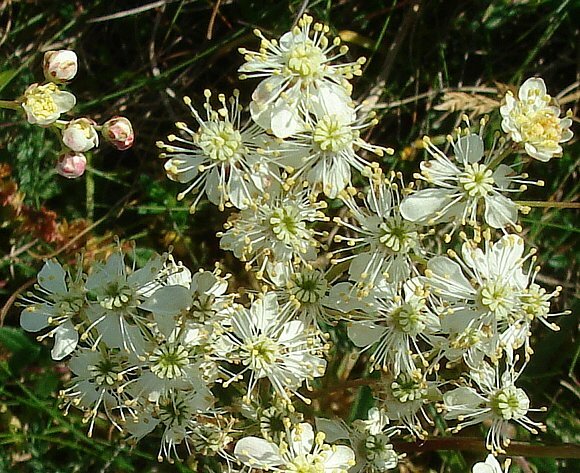 No relation to : Water-dropwort s such as Parlsey Water-dropwort or Hemlock Water-Dropwort [plants with similar names] which are mostly extremely poisonous, whereas the leaves of Dropwort are edible when young. Leaves slightly reminiscent of: Yarrow. The plants name refers not to dropping down after consuming it, but to the large pea-sized drop-like tubers on its roots. 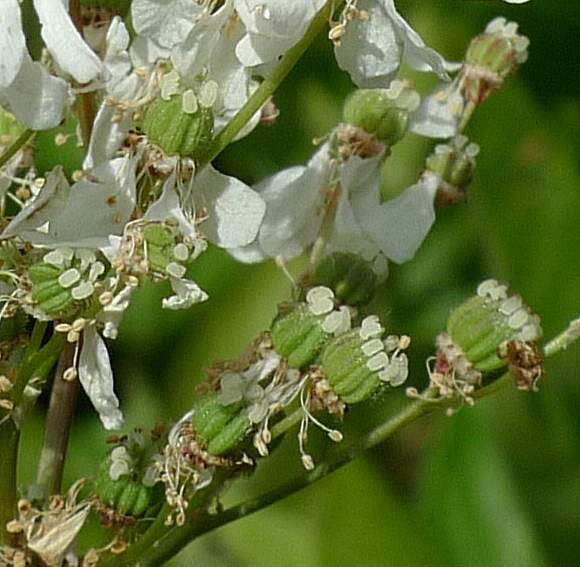 The flowers are larger than those of Meadowsweet, and much less fuzzy in appearance. 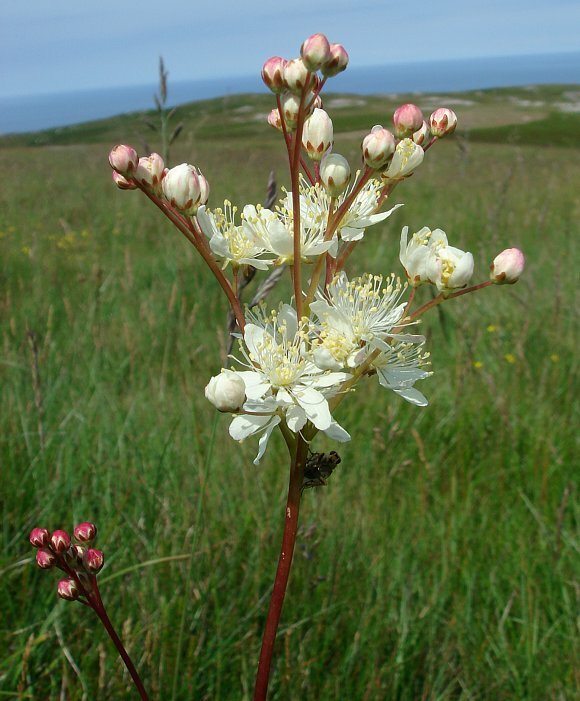 The plant is also much shorter than Meadowsweet, typically less than half the size. 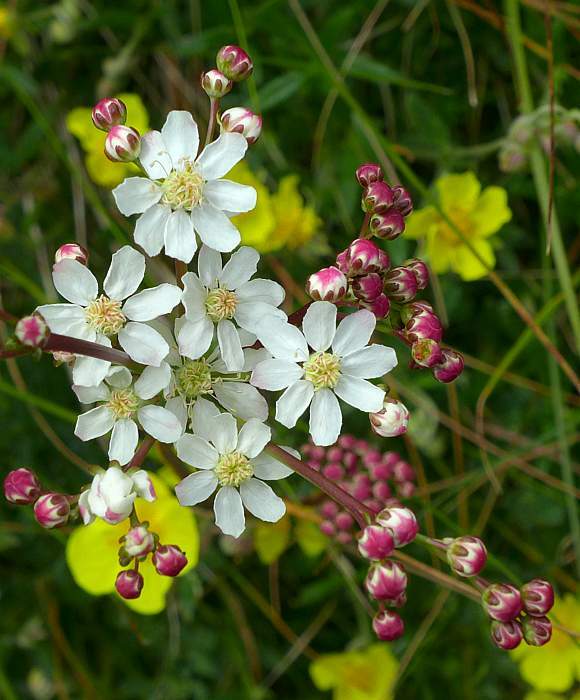 Dropwort prefers a chalky or limestone grassland whereas Meadowsweet likes to grow near water. If crushed, the leaves and roots exude a small of oil of Wintergreen, due to the release of Methyl Salicylate, which serves to attract beneficial insects and to kill those that dare try to eat it, for it is toxic.